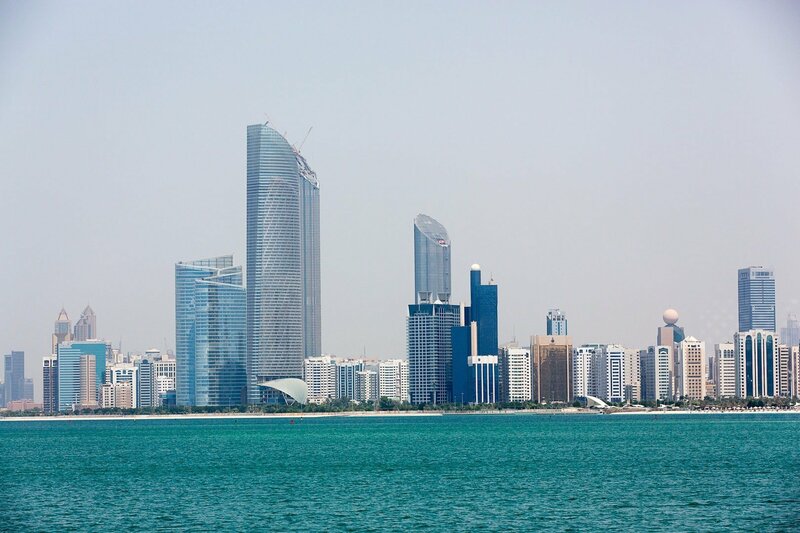 I love living here in Abu Dhabi, but there are some things you might need to know when living in or visiting the city… following on from my previous post on this subject a few months ago, here’s four more things to think about. If you’re going to rent a car here, make sure you get one with a licence plate from the Emirate you live in or everyone will automatically assume you don’t know your way around / will drive too slow / generally be annoying on the road. Believe me, it makes a big difference – we ended up with a rental car when we first arrived with a Ras Al Khaimah plate. It basically means you really get an education on how idiotic some of the other drivers on the road are here far quicker than you might otherwise (and that’s saying something!). It’s a common perception… someone tweeted Time Out Abu Dhabi recently saying they thought there should be a lane on the roads reserved exclusively for Abu Dhabi residents as the ‘out of towners’ all drive too slow for fear of speed cameras! Abu Dhabi is not the one horse, er, one camel hick town that a lot of people still think it is. There is still a perception from some folk who don’t live here that Abu Dhabi has nothing here, and is somehow inferior to Dubai. The city having nothing much about it certainly was once the case, but is no longer true. The people who keep perpetuating this myth either haven’t stepped over the border for a very long time to investigate, or are the type that turn their noses up and refuse to come near the Emirate for fear of not being photographed for OK! magazine on an evening out or being seen to be seen. And that’s fine, it’s a secret I’m happy to keep just between us. If you’re thinking about moving here you’ll really need to develop patience. Nothing happens particularly quickly, especially when you’re dealing with bureaucracy or government. On asking about pretty much anything, you’ll get used to hearing the phrase ‘Insha’Allah’, meaning ‘God willing’. A nice concept in theory, but it can at times, be utterly frustrating to hear. Keep calm and get used to it, it’s all part of the fun and adventure of living within a different culture, and that after all, is part of the reason you are considering moving in the first place, right? If you’re a fan of going to the cinema, this is also something that might come as a culture shock to you. People are not very good at sitting quietly in the dark in the UAE. Perhaps it’s the language barrier or maybe just cultural differences, but whatever it is, you’ll need to cultivate a skill of being able to ignore the chat, glare and sound of mobile phones and even people chatting on mobile phones around you. I’ve even seen newborn babies taken into less than appropriate incredibly loud films like Transformers and Inception. It can also be quite distracting at first trying to get used to not one set of subtitles, but two, as it’s common for films to have both Arabic and French subtitles. There’s also the censorship due to cultural sensitivities as was widely covered in the media with the recent Wolf of Wall Street. After the censors had done their bit, the film was reportedly a very confusing 45 minutes long from the original 180 minutes…. You can read about that here. I also recall going to see The Simpsons movie when it was released in Dubai that even the scene where Bart skateboards naked through the street was cut… What was that about?! In the original his bits were blurred out anyway. And secondly – it’s a cartoon, for goodness sake! But still, it was ultimately deemed unfit for the cultural sensitivities of the UAE. I don’t deal very well with people chit chattering away at the movies, or the theater. I would probably fail at the patience thing, too! But It’d be worth it I bet. Haha, you get used to it I guess! You also figure out which cinema tends to be the best / emptiest! Thanks for reading, glad to hear you enjoy! 🙂 You can find me on instagram @ArabianNotes and don’t forget if you’re on facebook too you can find me there also at facebook.com/arabiannotes. I’ll look forward to seeing you there!